Karnataka SSLC 2015 Examination will start on 30th March 2015 and end on 13th April 2015. KSEEB Exam model question papers are now available for download. 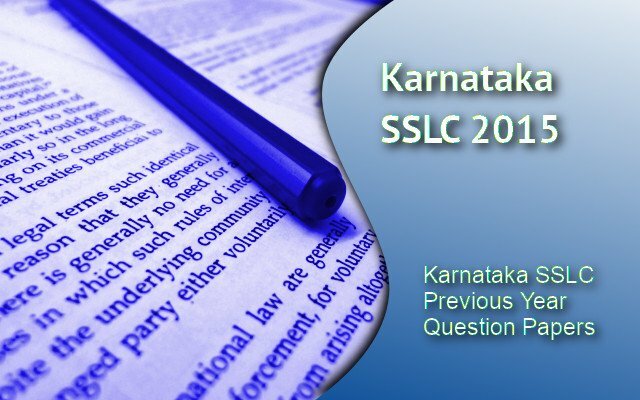 KSEEB Previous year question papers will help students to prepare for Karnataka SSLC 2015 Exam better. It give better confidence to face the exam and plan the time for each questions and write exam. Very Short Answer Questions and objective type Questions to all General Private Candidates under KSEEB to the annual final Exams 2015. All question papers are model. The original exam pattern is the same as the model questions.